Robert played all sports as a youth, club and high school athlete, and began his coaching and personal training career in California in 1985. 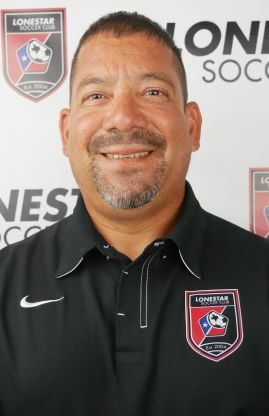 His Austin coaching career has involved stints with CCU Eagles, CCU Junior Academy, T&C RecPlus, Westlake Junior Academy and Texas Soccer Academy. He also started our Junior Academy location in Steiner Ranch/Riverplace in 2006 and ran it through the 2014/15 season. In addition to his role as start up program director, Robert is the director of Lonestar Taylor, Manor and Jarrell recreational locations, as well as the director of Lonestar's recreational partnership with RRSA.